Semir Sam Osmanagich is Bosnian-born Houston (USA) resident author, researcher, and businessman. Osmanagich discovered ancient Pyramidal complex in Visoko (Bosnia Herzegovina) which consists of five colossal stone structures in the shape of the pyramid with extensive pre-historical underground tunnel network. Osmanagich established non-profit and non-government “Archaeological Park: Bosnian Pyramid of the Sun” Foundation to pursue the excavation and geo-archaeological work. Osmanagich teaches at the American University in Bosnia-Herzegovina as Anthropology professor, in particular, Bosnian megalithic sites. First International Scientific Conference about Bosnian Valley of the Pyramids was held in Sarajevo (Bosnia-Herzegovina) in August 25-30, 2008 .. with 55 leading experts from Egypt, Russia, China, Poland, Saudi Arabia, United Kingdom, Croatia, Austria, Montenegro and Bosnia giving full support Osmanagich’s efforts and recommending establishment of the Center for Pyramid Studies in Bosnia. 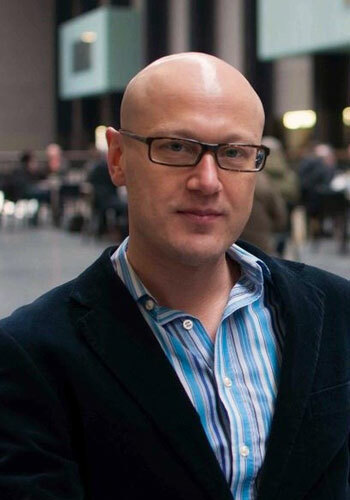 Osmanagich authored and narrated 12-episode documentary “Search for Lost Civilization” for the state Bosnian television FTVBiH (2007) which was based on his book: “Civilizations Before the Official History (2005)”. Osmanagich lectures extensively and promotes Bosnian Valley of the Pyramids Project and archaeological tourism in Bosnia-Herzegovina. Daily newspaper “San” from Sarajevo awarded Osmanagich title “Man of the Year 2007 .. in Bosnia-Herzegovina”. Osmanagich has been admitted as a Foreign Member of the Russian Academy of Natural Sciences from Moscow. Osmanagich holds his doctorate in Sociology of History. His Ph.D. thesis about the Mayan civilization has been accepted at the University of Sarajevo. A few excerpts from the website “www.bosnianpyramids.org”. Discovery of the Bosnian Valley of the Pyramids is telling us that we don’t know our Planet. We still need to explore our Mother Earth. More secrets wait to be uncovered and, with the ancient knowledge, help us reach our balance back. In April 2005, I first traveled to the town of Visoko, 20 miles northwest from Sarajevo .. the capital of Bosnia-Herzegovina. My attention was caught by two regularly shaped hills, which I later named the “Bosnian Pyramids of the Sun and Moon”. For thousands of years, locals have considered those hills to be natural phenomena because they were covered by soil and vegetation. However, when I first saw their triangular faces, obvious corners and orientation toward the cardinal points, I knew that they had to be constructed by a force other than nature. Since I had been investigating pyramids for decades, I knew that the pyramids found in China, Mexico, Guatemala, and EI Salvador had the same type of soil and vegetation coverage. In the year 2005, work began on this project and construction companies and geologists were paid (out of my pocket) to do core drilling and geo-morphological analysis. We then announced to the world, at the press conference, that the first pyramids in Europe had been discovered. Shortly thereafter, we established the nonprofit “Archaeological Park: Bosnian Pyramid of the Sun Foundation” and since that time, the pyramid investigations in Bosnia have become the world’s largest interdisciplinary archaeological project. We have spent over 3,40,000 man-hours in archaeological excavation, sample testing, and radiocarbon dating in the period from 2005 to 2011. The Bosnian Valley of the Pyramids consists of five pyramids discovered to date which I named: “The Bosnian Pyramids of the Sun” .. “Moon” .. “Dragon” .. “Mother Earth” and “Love”. The site also includes a tumulus complex and a huge underground labyrinth. This Discovery is historic and changes the knowledge of the early history of Europe for several reasons. The site includes the largest Pyramid structure in the world... “The Bosnian Pyramid of the Sun” .. with its height of over 220 meters is much higher than the Great Pyramid of Egypt ( 147 meters ). The Bosnian Pyramid of the Sun has .. according to the Bosnian Institute for Geodesy .. the most precise orientation towards cosmic north with the error of .. `0’ degrees, ‘0’ minutes and ‘12’ seconds. The Bosnian Pyramid of the Sun is completely covered by rectangular concrete blocks. The properties of the concrete, including extreme hardness (up to 133 MPs) and low water absorption (around 1%), are, according to the scientific institutions in Bosnia, Italy and France, far superior to modern concrete materials. The Pyramids are covered by soil which is .. according to the State Institute for Agro-pedology .. approx. 12,000 years old. Radiocarbon dating from the paved terrace on Bosnian Pyramid of the Moon, performed by Institute of Physics of Silesian Institute of Technology from Gliwice ( Poland) confirmed that terrace was built 10,350 years ago ( +/- 50 years ). These findings confirm that the Bosnian pyramids are also the oldest known Pyramids on the planet. Beneath the Bosnian Valley of the Pyramids, there is an extensive underground tunnel and chamber network which runs for a total of more than ten miles. Ceramic sculptures have been discovered in the underground labyrinth with a mass of up to 20,000 pounds which makes them the largest found so far from the ancient world. This phenomenon contradicts the known laws of physics and technology. This is the first proof of non-herzian technology on the planet. It seems that the Pyramid builders created a perpetual motion machine a long time ago and this “energy machine” is still working. In the underground labyrinth, in the year 2010, we discovered three chambers and a small blue lake. Energy screening shows that the ionization level is 43 times higher than the average concentration outside which makes the underground chambers into “healing rooms”. Further electromagnetic detection in the year 2011 confirmed that levels of negative radiation through the Hartman, Curry, and Schneider grids are equal to zero in the tunnels. There was no technical radiation (from power lines and/or other technology) found in the tunnels and no cosmic radioactivity. Ceramic sculptures are positioned over the underground water flows and the negative energy is transformed into positive. All of these experiments point to the underground labyrinth as one of the most secure underground constructions in the world .. and this makes it an ideal place for the body’s rejuvenation and regeneration. In only six years, our research in Bosnia has applied inter-disciplinary scientific methods, to look at this complex through the physical, energetic and spiritual dimensions. 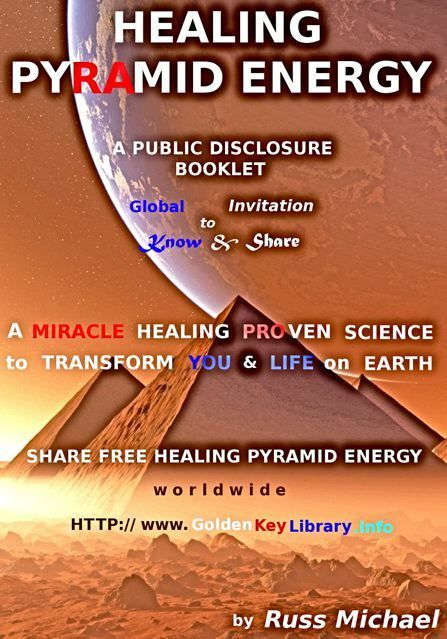 We have had pioneering results which affect the entire sphere of knowledge and Pyramid Science. Our history is changing with each new discovery. Poly contrast Interference Photography, also known as PIP, is an energy field video imaging system. This system was developed by Harry Oldfield, a respected biologist and an inventor from the UK. PIP provides a real-time, moving image of the energy field of any object, including the human body. 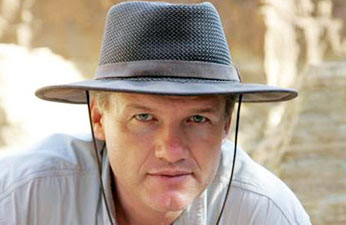 Harry Oldfield visited Visoko, Bosnia, and Herzegovina in the year 2008 and recorded images of the Bosnian Pyramid of the Sun. He compared his recordings to images of natural hill formations of a similar size and shape. The recordings displayed the energy field above the Bosnian Pyramid of the Sun pointing vertically; however, natural hills show a homogenous horizontal energy field. In the year 2012, a team of Serbian scientists repeated the PIP experiment in five different locations in the Bosnian Valley of the Pyramids. Sasa Nedfeji, from the exploration center ‘Duh Rtnja’, was the project lead. The data analysis was done by a nuclear physicist, Prof. Dr. Ljubo Ristovski, who has years of experience working with energetic processes in biologic and geologic systems. The recording process lasted for three days and took place at the Pyramid of the Sun, Moon, Love, and Earth, as well as the Tumulus in Vratnica. Vertical energy radiation was once again detected on the Pyramid of the Sun, Moon, Mother Earth and the Tumulus in Vratnica. Professor Ristovski combined his own research with the research of a scientist from Belgrade, Goran Marjanovic. Marjanovic, measured the electromagnetic waves on top of the Pyramid of the Sun to be 30 kHz. Ristovski then calculated the wavelength to be approximately 10 Km. Up until now, the largest natural sources of radiation discovered have a wavelength of less than 1m. This is another piece of evidence suggesting that Visocica Hill in Visoko...The Pyramid of the Sun is not a natural hill. 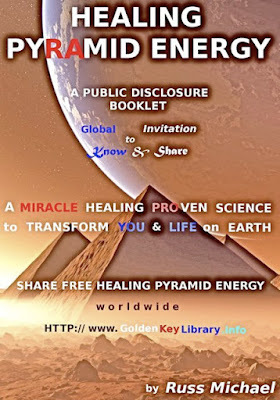 Research so far concludes that the pyramids are radiating energy. Energetic radiation is a wave and a wave is information (for example, magnetic, electromagnetic, infra, and ultra waves). Silver Tambur is the founder and Editor-in-Chief of “EstonianWorld.com.” His interest is to explore the impact, developments and movements of a new generation of cosmopolitan Estonians, who increasingly leave their mark around the globe .. let it be a technology, start-up scene, the arts, or even defense. A few excerpts from the website “www.estonianworld.com”. The term “Pyramid Power” started to spread in the 1970’s among New Age movements. “Pyramid Power” refers to supernatural or paranormal properties of the shape of a Pyramid and the ancient Egyptian pyramids. With this power, model Pyramids are said to preserve food, sharpen or maintain the sharpness of steel, improve health, function as a thought-form incubator, trigger sexual urges and cause other dramatic effects. It was claimed that because of this power the bodies, in the ancient Egyptian Pyramids were so well preserved and mummified. From the time of their construction, the Pyramids have always been linked to ideas about preservation and regeneration. It is said that people enter the Alpha State of Consciousness faster and easier when in, or under, a Pyramid. A Pyramid pours positive energy. It washes the negative energy away and draw down the powers of the heavens. Also, it has been claimed that the concept of Pyramid power is symbolic rather than literal, having to do with psychological effects and not physical ones. Another contention of Pyramid power is “scalar resonance” caused by the geometric shape of the Pyramid also related to “shape energy”. Electromagnetic frequencies are converted by the direct influence of the perfect Pyramid shape causing them to harmonise the energy. The village is situated in North-Estonia and has over eleven Pyramid-houses and one centre Pyramid also three Pyramid saunas. They are still expanding and they have ten building lots. The purpose of the village is to offer the people an harmonic environment to live in, where there would be a possibility to recreate all together a paradise on Earth says the founder and leader of the village “Margus Aru”. The buildings are built in the examples of the Egyptian pyramids, in consideration of certain ratios and placed in north-south direction. That generates, beams and accumulates certain energy fields. The centre of the village is also a Pyramid house named “Keskus Teheverev” ( the Stargate Centre ). During the day the children go there to play in group called “Teheiepsed” (Starchildren). During evenings the people go there to practice different mental practices like yoga, re-birthing-breath work, meditation, etc. During weekends and summer they have longer seminars for people outside the village. The ancient Egyptians built most of the Pyramids as tombs for pharaohs and their consorts. The pharaohs were buried in Pyramids of many different shapes and sizes. Every year, millions of people travel to Egypt to admire those masterpieces, among them thousands of Estonians. But, in twenty years’ time, the tiny Northern European country will have its own pyramids ·· in fact, the world’s highest. Unlike their Egyptian counterparts though, the original purpose of these Pyramids will be regeneration of the local environment. An Estonian architecture firm and a local council are planning to use chippings from an oilshale quarry to build the largest Pyramids in the world in Aidu, North-Eastern Estonia by the year 2030. Estonian architect “Ott Kadarik”, one of the partners at architecture firm behind the project, Kadarik and Tuur, is brimming with enthusiasm about the venture: “The pyramids is, of course, a catchy and ambitious name for our project”. Kadarik says that the idea is actually quite simple and not overly complicated .. ruling out an ancient Egyptian style, almost inhuman effort. Their firm has analysed the material and concluded that by stacking the waste rocks with four lateral facets at 37 degree angle, it would ultimately form a Pyramid shape. Our role as architects is to create a structure for the Pyramids, so that we could build them layer by layer and increase their height year by year. Fascinatingly enough, it will be very flexible, so in theory we could slightly change the shape of the structure, over the years. Once completed, the pyramids will be 151 to 152 metres in height, i.e. the highest in the world, occupying an area of 1.2 x 0.6 km. For comparison, The Great Pyramid of Giza stands at 138.8 metres. 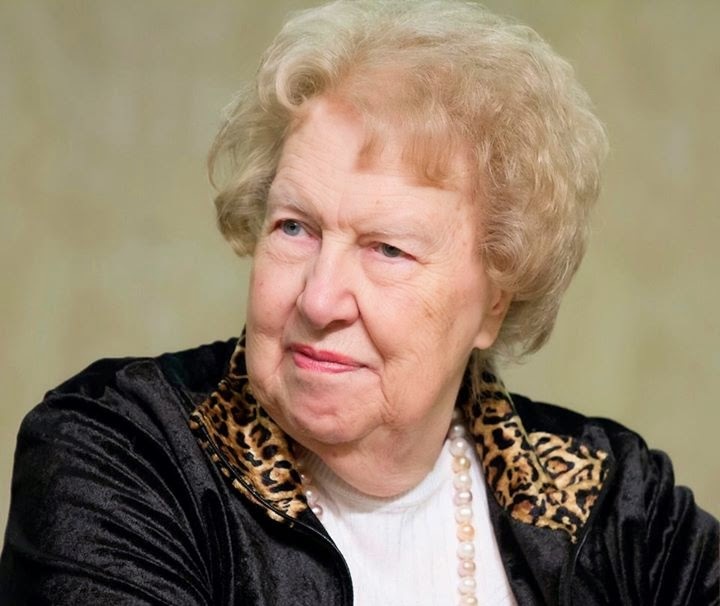 Dolores Cannon is one of the most inspiring spiritual scientists in the world today. Dolores has accumulated all the vast knowledge from her forty years as a pioneering hypnotherapist, past-life regressionist, counselor and healer. She has performed thousands of hypnotherapy sessions with a whole cross section of clients who have revealed to her their origins as extra-terrestrial ( ET ) beings on other planets, in other universes, and in other lives. Dolores possesses an incredible depth of knowledge about a wide range of subjects on extra-terrestrials / UFO’s, Atlantis and ancient Egypt. Dolores dispenses all of her great wisdom with a consistently positive, hopeful and uplifting with spiritual seekers of truth around the globe. The following information on mystery of the Pyramids was revealed by the subjects.. Phil, Clara and Brinda to Dolores in her regression sessions. A few excerpts from her book “The Convoluted Universe”. Phil : “These structures were built with the aid of levitation, which is being rediscovered in some areas on Earth today. The act of moving these stones was accomplished with pure mental energy. This is as possible today, at this hour, as it was at that time. It requires total focus and concentration. There were a group of five to seven of the priests who were schooled in this science and many other sciences. This was merely one aspect of their training. The knowledge was transferred from ATLANTIS. The pyramids were a gift of the knowledge from ATLANTIS. Phil : “That is accurate. The energy streaming on to your planet is focused by this geometric design, far more than the concept of ‘perfect’ can even approach! However .. the square, or even cube .. of the concept of ‘perfect’ or ‘perfection’, such that the resonance of this perfection reaches beyond three dimensional realities! You might have seen pictures of Pyramids. The Pyramids in Egypt were constructed by highly competent people. The meaning of Pyramid is “that which contains fire”. 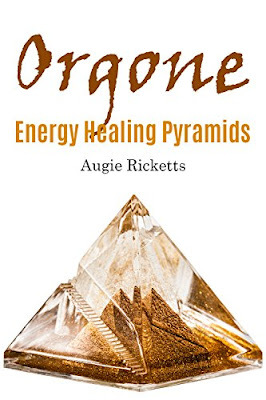 The main reason for constructing the Pyramid is to absorb energy. Its triangular shape attracts the power. While sitting in a Pyramid, you will experience new thoughts which may not be possible outside. The shape of the Pyramid itself will give you a divine feeling. It provides divine vibrations. Probably the architects of the Pyramids were great visionaries. They have visualized what we could not see. Pyramids in Egypt are like pilgrimage places in the ancient civilization. The most important feature of them is, it will be dark inside the Pyramid. At the time of construction of these Pyramids (10,000 -20,000 years ago), there was no electric power. They might have used fire batons to go into the Pyramids. However, there are no traces of smoke chars on the walls or roof-bottom of the Pyramids. The paths inside the Pyramids are very lengthy, curved, twisted and dark. There is no provision to provide lamps or supply option for electricity. Had there been any usage of oil or ghee lamps, batons or fireplace,some indications must have been there. In such case, a doubt may arise as to how people wandered inside the Pyramid If there is no need for anybody to go into the Pyramid then why were so many paths laid in it? There are many steps, places to sit, windows, doors etc. Why were all these provided inside the Pyramid, when there is no light at all? That is a mystery. If it is believed that these Pyramids are built for the sake of some enthusiastic Kings, then the purpose of its construction will remain elusive. Many research works have been conducted in this field. The prime questions those people tackled are: (i) why were Pyramids built, (ii) what is their purpose (iii) in a barren land,why were such mega structures built, (iv) how much expenditure was incurred to build it, (v) how many workers were employed for its construction (vi) were they meant merely for preserving the dead people? If that is the only reason, then all the expenditure of money and manpower is a waste. But the fact is that they were built for a spiritual purpose. If anybody does a systematic study about their own ‘inner-fire’, a type of light ray emanates out of their bodies. Only those kinds of people are eligible to enter the Pyramid as they don’t require any help of lamp or electricity. By observing special meditation procedures with reference to the internal fire, they can emanate light from their bodies and therefore qualify to enter into the Pyramid. Scientists are still wondering why there are no stray rocks in the surrounding areas of the Pyramids They are located miles a way from the finished Pyramids How were the heavy rocks brought to the site, as there were no cranes in those days? There is no scope for any technical support, as the rocks were arranged by men. Even then, arranging those rocks towards the sky, that too to finally attain the Pyramid shape with accurate angles, leaves an impression that the architects of those Pyramids possessed some extra-ordinary expertise. Hence, the Egyptian Pyramids their construction, their environs, their peculiar shapes, facial features really have a meaningful purpose. Pyramids were built by great Masters, who have experienced the internal benefits of these structures. In fact, the mighty rocks used for the construction of Pyramids are heavier than what the present cranes can lift. It is also a fact that they were lifted and placed properly. All the work was done manually. Either there must have been some specific equipment for them or they might have used their fourth-state bodies. Ancient Egyptians must have used some unique to lift the mighty stones. In early 1900, while doing a research on Pyramids one research helper went missing. They searched for him with the help of lamps. They could not find him for the next 24 hours. Later, at around 2am, the research assistant came out running like a mad man. After some pause, he narrated his horrible experiences in the Pyramid He said that, while searching for the way-out in the dark, he had found a door on the wall and had entered through it. Just as he had crossed the door and turned his back, the door automatically closed. He said, I turned back and could not find any door in the wall. I remembered that a stone had slid down from the top and the door was closed. I screamed for help, but no one responded. As there was no way back, I wandered in the dark. It is very difficult to explain my exact experiences. It is a fact that the assistant went missing in the dark Pyramids creator 24 hours. But the explanation he was narrating was unbelievable. The entire group searched for the door that was being described by the assistant, but nothing was found. He could not show how he entered inside and came out. So everyone thought that he might have fallen unconscious or had fallen asleep and had a dream. However, they documented all his narrations. After some days, when they were doing more research, the group found another manuscript, that had details resembling narrations made by their assistant. Now, the mystery deepened. Then they decided that these must have been stored in an invisible room, which can be opened to a person affected by some non-physical energy. It may be a sudden event or a gradual event. Their assistant might have been caught unaware and had been influenced by that particular non-physical energy. For this reason, though he was able to narrate it but he could not prove it. There was a remote chance for such a door to open. For example, all the rooms and halls are so arranged in the Pyramids that there is every chance for activation of some consciousness. Every shape in the Pyramid is believed to create specific experiences. If you enter a room with a low ceiling, though it is not touching your head, you will experience that something is pressing you down and create an impression that you are shrinking. In fact, nothing is pressing you down physically but still you will experience that something is pushing you down. In the same way, if you enter a room with a high roof, you will experience that something is expanding in you. We can construct a room with these limitations, suitable for doing meditation. As an outcome of several research works, it is now clear what type of room is suitable for doing meditation. We can accordingly build a room either to create a compressive or expansive feeling. We can also choose suitable colors for interiors, room odour, acoustics, etc. Meditation..easier in Pyramids! This is ‘a great mystery’; if you want to go much deeper in meditation, it is quite easy in a Pyramid. Due to this, you will require less food and less water. You can also remain for a longer period of time without taking any food.Compared to outside of the Pyramid, you will consume less energy inside the Pyramid. Even if the soul leaves the body, it can be stored in the Pyramid. Something interesting used to happen in Ramakrishna Paramahamsa’s life. 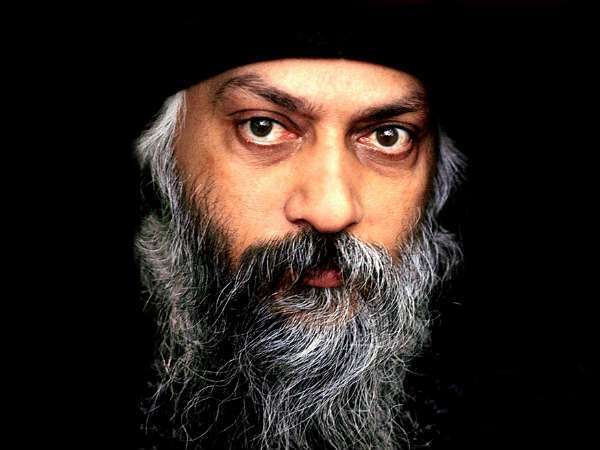 He used to go into deep meditative samadhi state continuously for about six days. At that time, his body used to shrink and his disciples used to massage his body and protect it. Without that he had to strive hard to come back to normalcy. Only because of the massage, his body could sustain some heat and the blood flow was active. Had he been doing the same samadhi practice in a Pyramid, the massage might not have been required. The mummies preserved in Egyptian Pyramids are 5,000 years old. They are dead bodies of human beings. Yet, they are preserved in a systematic way; they appear as if they died recently. What preservative liquids were used in that processes is still a mystery. The peculiar shape of the Pyramid itself may be a prime reason for the long and fresh preservation. Not only the bodies, but any item that is kept in the Pyramid appears afresh for a longer time. As the Pyramid transforms the Sun rays, many wondrous things happen. At one instance, when a researcher was doing his research work in the Giza Pyramid, a dog entered into the Pyramid. Later, without observing the dog’s entry, he closed the entrance of the Pyramid. He went on leave for about three weeks. On his return, he found the body of the dog. Although it had converted into a mummy, no foul smell was coming from the body! The shape of the Pyramid is believed to provide preserving capacity. One Czechoslovakian scientist Karl Drbal, thought about how things are preserved by the shape of a Pyramid. He felt that may be the pressure inside the Pyramid is also a reason. Then, he did some experiments with his razor blades. He constructed a small Pyramid with a card board and placed some used razor blades in it. Astonishing, the used blades became sharp within hours and were found to be useful again. He even got a patent for this. In this way we can use only one razor blade for an entire life time! If a Pyramid is able to sharpen a blade, then why can it not sharpen your consciousness? Yes, it is possible! At present, small plastic or glass Pyramids are available in the market. People, who are health conscious, should try to sit in a Pyramids. It helps a lot. There is no strict rule about its shape- it can be rigid or flexible. You should be able to carry it where ever you are going. You can make it into a roof or a tent. You will find the positive difference. If Pyramids are used regularly, we can increase our life span. If it is made a part of every house, school and college or in daily life there is a possibility of extending the life span even up to 300 years! It is sufficient if we do meditation for an hour every day in a Pyramid, this will protect our life. Brahmarshi Patriji on "Pyramid Meditation"
Brahmarshi Patriji on "Who Built the Pyramids?"